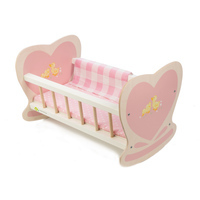 Rock "dolly" to sleep in this sturdy cradle. 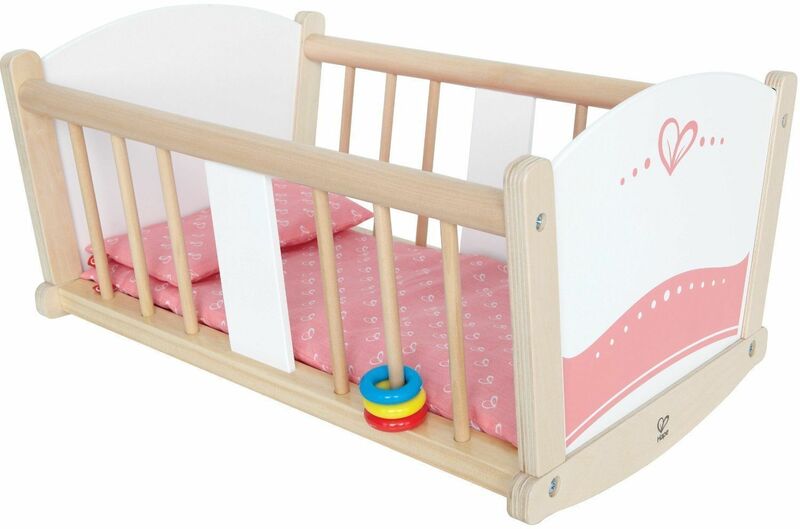 Sing lullabies as your child rocks the cradle. Encourage your child to tell a bedtime story. Hours of creative fun imitative and imaginary play, fantasy story telling, role playing, and creativity will result. 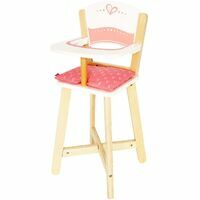 Fits dolls up to 45cm. Measuring approximately (L x W x H): 48 x 31 x 25.5 cm. 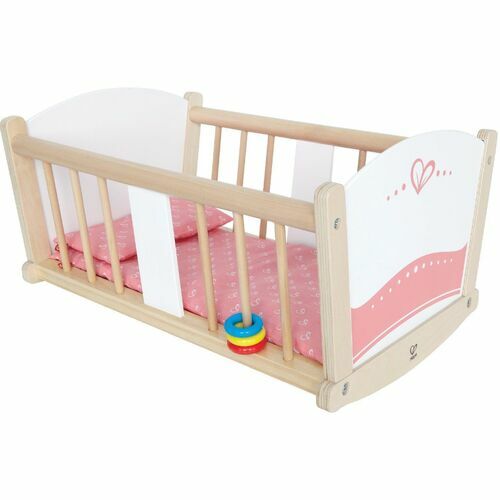 Cot arrived quickly, easy to put together, perfect size and rocks easily. My 2yr old daughter loves it. More than happy with this purchase, good quality and equally good service THANK YOU! Beyond perfect! This cradle has taken our daughters motherhood to a new level, she peacefully rocks her baby to sleep! 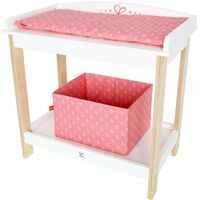 This is a must have for every little girl!